Good news for Palm Beach homeowners: the median price for a home ticked up by 16% last month. This was a 7% increase from January. Even though the volume of sales stalled last month, the increase value is welcome news for anyone who has been riding the wave of the burst housing bubble. You can increase the value of your property even further by making small changes. A fresh approach to your landscaping can certainly add to your curb appeal. Inside the home, a new paint job could add value. The same can be said for replacing your out of date kitchen appliances. By “out of date,” we mean anything that is at least ten years old. If your appliances go back to the 90s, then you really need to consider replacing. That’s not so much for increase property value as it is to make your life easier. 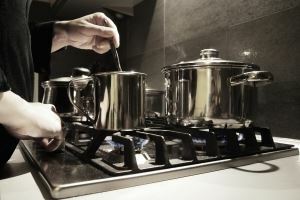 The latest generation of kitchen appliances have all been designed with energy efficiency in mind. Although it might look like you are paying a few extra dollars for these items, in reality the savings on your power bill will more than make up for those expenditures. New appliances also have features like touch pads and integrated computer systems that enhance the ease of operation. Bottom line: you’re missing out on a lot by holding onto old appliances. When you’re ready to make the switch, you’ll want to arrange for an appliance removal appointment with Junk King. Despite what you might have seen on the streets, you’re not supposed to abandon things like stoves, dishwashers or microwaves by the curb. That is considered illegal dumping and it can result in some hefty fines. That’s why you want to contact Junk King to handle your appliance removal. Junk King is a company dedicated to providing professional junk hauling services all across Palm Beach. In additional you your appliance removal, the Junk King team can handle taking away sofas, televisions, bedroom sets, e-waste and other household rubbish. Outside, Junk King can help you clear out yard debris like fallen palm fronds, dead scrubs or anything left over from a remodeling job. Not only will you get the space to place your new appliances, but you’ll also be getting the space for more storage or other practical applications. Whether you want to set up a pottery studio or plant a vegetable garden, you need to start with appliance removal and junk hauling from Junk King. This entry was posted in Palm Beach Appliance Removal and tagged Appliance Removal, Junk King, junk removal, Palm Beach Appliance Removal on March 30, 2014 by Dave Archer. Last updated July 31, 2017 . 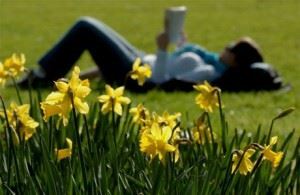 As of 12:57 yesterday afternoon, it is officially spring! With springtime comes a feeling of freshness and new beginnings. Birds chirp, flowers blossom and homes get cleaned (or do they?). I couldn’t help but wonder how many people out there find themselves in the same predicament. This spring, you can take control of the situation by calling Junk King. There’s no need to put it off any longer. You can call us and we will come at your convenience. Just point us in the direction of whatever needs to be hauled away and we will take care of removing the clutter for you. And please, take advantage of us! If you need us to remove yard debris and your old electronics, we can do it all at once! Stop making excuses. 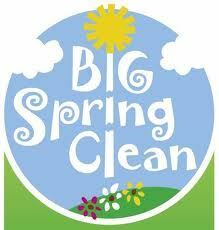 Give us a call and we’ll do the spring cleaning for you. You can sit back and listen to the birds chirp and watch the flowers blossom in your clean space! This entry was posted in Junk King Palm Beach, Junk Removal Palm Beach, Palm Beach Junk Removal and tagged Junk King Spring Cleaning on March 21, 2014 by Dave Archer. Last updated July 31, 2017 . Zillow economists said 2014 will see Palm Beach County’s median home values gain another 5.8 percent, ranging from 4 percent in Boynton Beach to nearly 7 percent in West Palm Beach. Others are even more optimistic. 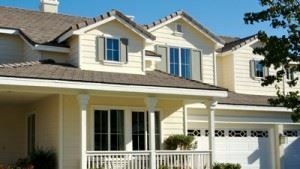 South Florida housing expert and consultant Jack McCabe predicts Palm Beach County’s median sales price for a single-family home will jump 8 percent in the coming year. This is good news for those of us hoping to sell our home this year. Part of the selling process is getting our residence ready for market. For many of us, our home is our biggest investment. It makes sense, then, to take all the necessary steps to make our home more desirable to prospective buyers! This is where Junk King of Palm Beach County comes in! We will be happy to remove clutter and junk that has accumulated over the years. You simply give us a call and then point us in the direction of the items that need to be taken away. We can remove yard waste, old electronics, furniture, mattresses, appliances and even hot tubs! A few dollars upfront to remove clutter will likely result in more dollars received in the sale of your home. And who doesn’t want that?! Happy selling! This entry was posted in Furniture Removal Palm Beach, Junk King Palm Beach, Junk Removal Palm Beach, Junk removal West Palm Beach, Uncategorized and tagged Selling Your Home in Palm Beach, Staging Your Home in Palm Beach on March 12, 2014 by Dave Archer. Last updated July 31, 2017 . Palm Beach takes the issue of illegal dumping very serious. So serious, in fact, that you could be fined up to $10,000 and face five years in prison for an illegal dumping offense. Most of this type of dumping occurs in the dark of night when a careless individual thinks they won’t be seen. With a Sheriff’s department crackdown occurring a lot of these type of dumping is being curtailed. It’s ridiculous the amount of energy used up by these folks to load up their truck, drive around at 2:00 a.m. and then dump it all in an alley or by the side of the road. All they have to do is call Junk King to take care of the problem in a legal and professional manner. 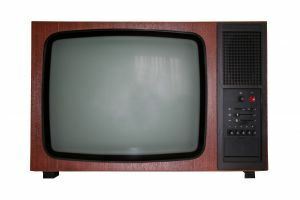 One of the most common items left out on the street are old televisions. The thoughtless person who left that TV behind knew they couldn’t throw it out in the trash. Unfortunately, if left to the city, that TV will end up in a landfill and that’s not good for the surrounding environment. Old TV disposal is the perfect type of job for Junk King. It will go down like this: You call Junk King to set up an appointment. They’ll schedule a time that works for your schedule. At the appointed hour, a two-man crew will pull up to your home in a large moving truck. You show them the junk you want removed and they’ll quote you a price. That price is going to be based on the amount of space your junk will fill up on the truck. If you’re just dealing with a single old TV disposal, then the price is going to be low. When you agree to the price, the crew picks up the items and loads them onto the truck. You pay the fee and off they go. It doesn’t get any easier than that. The real challenge is for you to decide what you want thrown out. That old TV disposal is easy especially if you’ve already got a new flatscreen mounted on the wall. As for the rest of your potential junk items, it might come down to a question of use. If you haven’t used something in over a year, maybe it’s time for it to go. Remember: two-man crew, big truck. Do you really want to stop at an old TV? Let Junk King take away all your clutter. This entry was posted in Palm Beach Old TV Disposal and tagged Junk King, junk removal, old TV disposal, Palm Beach Old TV Disposal on March 11, 2014 by Dave Archer. Last updated July 31, 2017 .